Secure all kinds of personal items, including Social Security cards, birth certificates, insurance documents, wills (see important note about wills below), and whatever else you want to protect that will fit in the box. There are a limited number of safe deposit boxes located at our main office. Contact us for availability. Our billing schedule is from July 1st to June 30th, so if you purchase a safe deposit box after July 1st, the cost is prorated for the number of remaining months in the year. There are two keys for the box — and you are responsible for both of them. There is a significant charge if you lose the keys for re-drilling and re-keying costs. Our staff does not have access. We have a master key, but it takes both our key and one of your two keys to gain access. Granted to one who (1) has a key, and (2) has valid ID, and (3) is on the signature card that we keep on file. We keep record of who and when entry occurs. If your will is in the box, you need to add the Executor of your estate to the signature card. Otherwise, it takes a court order to “open the estate” and appoint a legal successor, which takes time. Avoid delay by simply adding their name to your signature card. They don’t have to be on any of your accounts if you don’t want them to, they can simply have access to your box. For immediate access of funds for funeral expenses, ensure that your executor is listed as Joint or Beneficiary on your accounts. Simply come into the Credit Union and fill out a form. If you want to set them up on the safe deposit box, you can do both at the same time. If you arrive after hours, before we open, or just any time, take advantage of our safe and secure deposit box. Drop your check into an envelope, add your account number and instructions, drop it in, and be on your way. We process entries first thing every morning of every business day. Available at our main office to the right of the front entrance. Contact your employer to set up your ACH payroll deduction or direct deposit. You may also contact our ACH coordinator for details of all the services we provide through ACH. 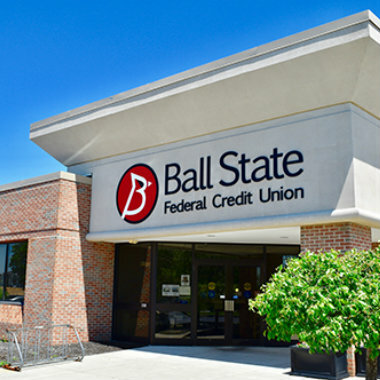 Ball State Federal Credit Union is a partner in the national Go Direct initiative. Visit fiscal.treasury.gov/GoDirect/ to learn about all of the direct deposit services that are available to you.